A kitchen is often the most utilized space in your home, and a space that should feel very comfortable for everyone in your family. Countertops and cabinetry are two of the highlights of your kitchen space. While there are some aspects of countertops, such as granite, and of cabinetry, such as white cabinets, that never seem to go out of style, there are some new trends taking shape. Quartz countertops are beginning to take the lead as the new and “fresh” countertop in style. They are also very durable and easy to care for. They also allow for a uniformed look in your kitchen space. Quartz countertops are nonporous and resistant to heat, and are also resistant to spills and scratches. Wood countertops are a “fashion forward” choice in a counter. They offer a wistful and homey feeling to an otherwise modern kitchen space. While other trends are taking shape, granite remains one of the most sought after choices in kitchen countertops. It is fairly low maintenance, durable and heat-resistant. There are now many budget-friendly granite options, and it is also available with a 15 year seal warranty. Remarkable textures and patterns in your countertops are a great way to make your kitchen look grand and stand out. This can be accomplished through beautiful marble and granite finishes. 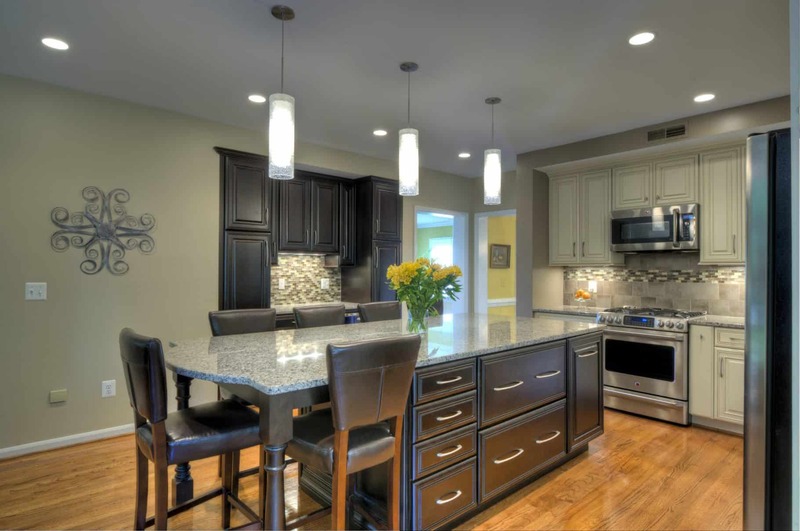 Clean lines and simple design are increasing in popularity in kitchen cabinetry design. This modern style fits well into a transitional kitchen, and will last the test of time. Gray cabinetry is becoming very popular in kitchen design, and works well with many kitchen styles. Colors like gray and white, as well as other neutral colors, allow you to design with pops of color in other areas of your kitchen. Complimenting cabinet colors, such as white cabinets contrasting with gray cabinetry or a dark stain finish on an island, are also becoming increasingly popular. Personalized cabinets are now becoming more of a reality for all homeowners. Many companies have added multiple styles and colors that fit any home and design, which allow individuals to personalize their kitchen to meet their own, individual style preferences. 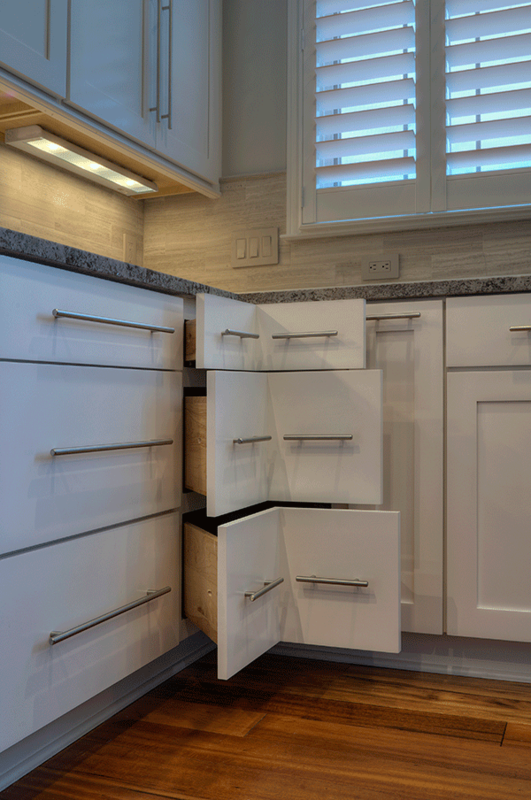 Cabinetry today often merges function and design to allow for storage, organization and easy access in your kitchen space. Some examples of functional cabinetry include appliance cabinetry that house things like blenders, toasters and other countertop appliances. Hi-tech cabinet options are also increasing in popularity, and may include built-in charging stations within cabinets and hands-free tablet holders. No matter what your style, it is wise to seek a professional who not only has the ability to pull together all of the components of creating your new kitchen, but is also instrumental in all of the design phases as well as supporting you through the process of selecting just the right materials for your new kitchen. 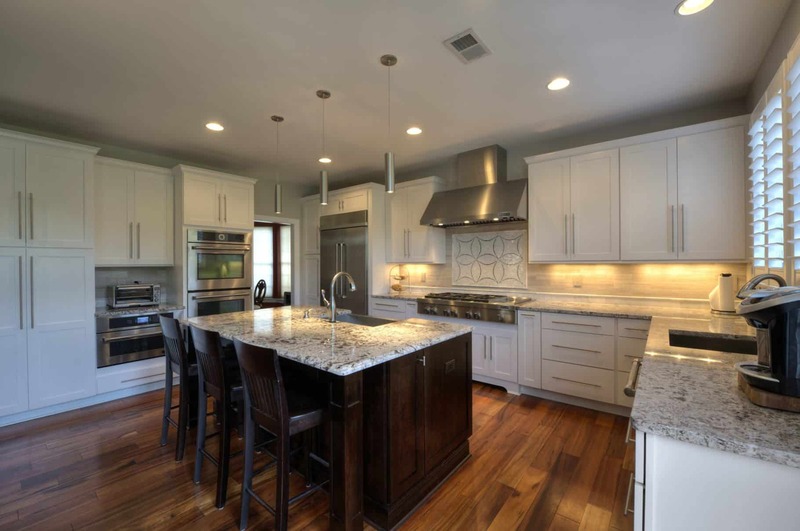 As a design/build company with professional experience in providing design assistance, Rendon Remodeling & Design is ready to help you begin the process of designing your innovative kitchen space. Call today for your complimentary consultation.